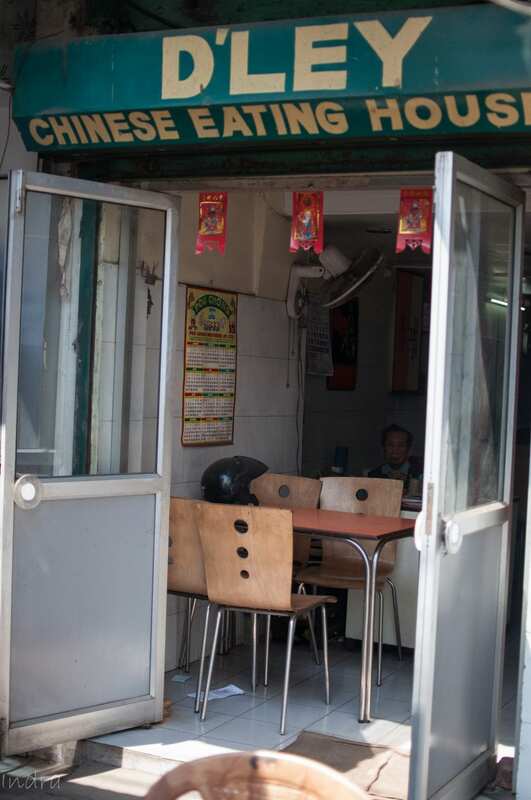 Like all good things, authentic Chinese eating houses are also shutting down today in Kolkata. 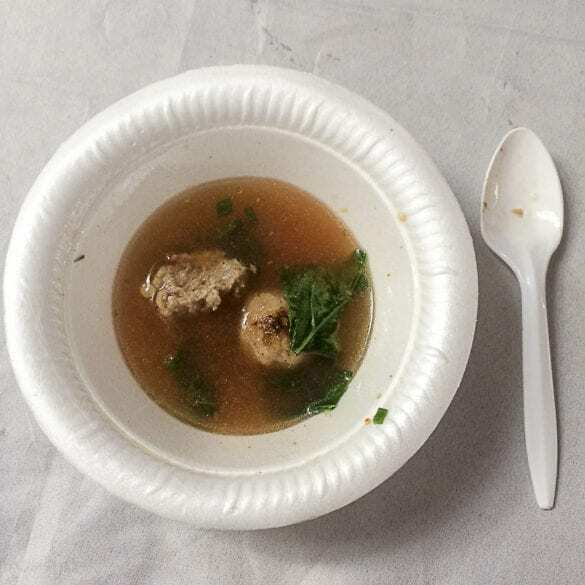 A place with minimal ambiance and no-frills professional service- yet people flock there in groups just for the great food with honest price. One such place is D’Ley. 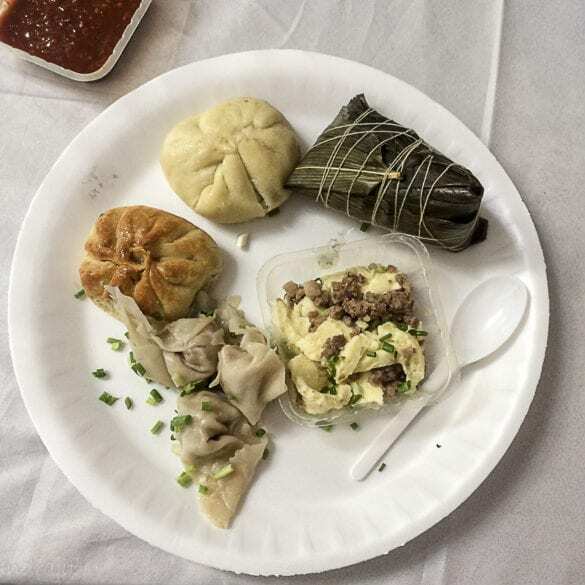 When one talks of the chinatown in Kolkata, we understand it to be the Tangra/ Topsia area. 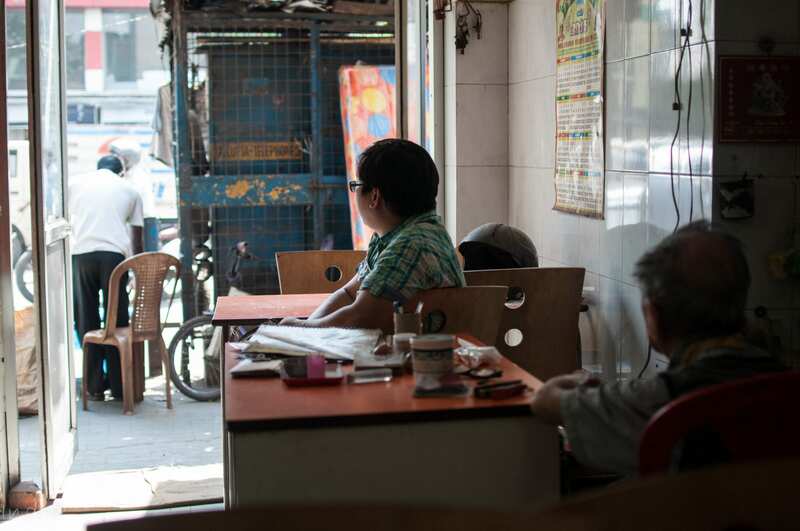 But, the territti bazaar and adjacent area is one place where till date, the famed (or something like that) chinese road-side breakfast takes place (few shops on weekdays and in a grand scale, on sundays). The same can be found in my post here… However, couple of places are there which are proud to call themselves eating house, rather than a restaurant. They are mostly operated by families- the items are the traditional ones and sometimes on a special request, the hidden gems and prepared for a few special guests. 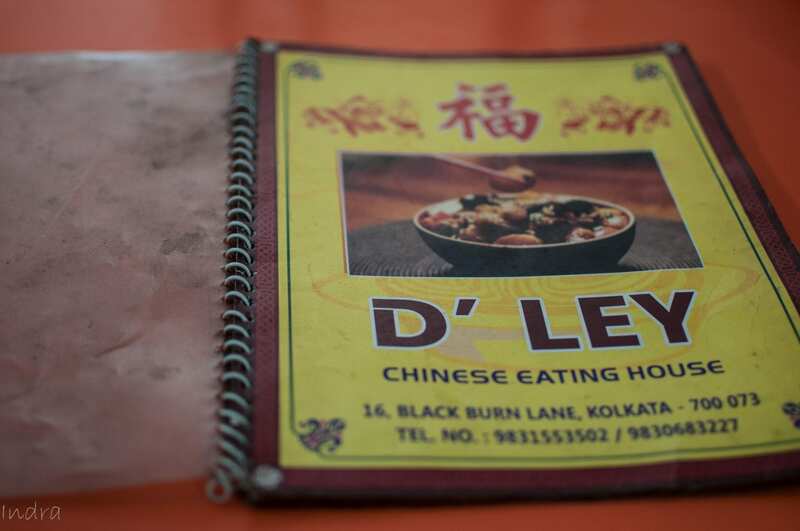 Apart from Tung Nam (my eternal weak point for me for chinese food in city), D’Ley is one such place. This is a journey love. Say, you’re standing in front of Central Metro station at the Road towards Poddar court, Follow the road towards the Poddar Court. After around 5 minutes of walking (that road is a one-way for vehicles – coming towards Central avenue), you’ll fine a blue colored building on you left- that’s Kolkata Improvement Trust Building- adjacent to the Teritty bazar BSNL bhawan. D’Ley is situated opposite to that building and please remember, its a blink-and-miss kind of place. Please remember, the sign-board is put up on the next shop (as you can find in the photograph). 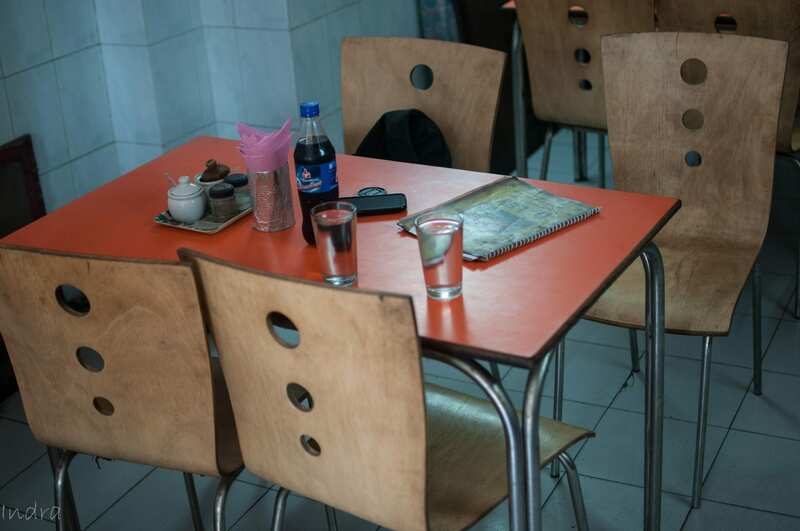 Enter the place and please be ready to find some 4-5 tables and chairs thrown around and one cash counter with few on-interested oriental faces spending the sweet lazy time at it. There’ll be nobody to greet you, and hopefully you’re not even expecting that. Have a seat. Thankfully, immediately the cold water will be served to your table. Menucards are already thrown in front of you and remember, you’re supposed to know what you’re going to order. It’s a long menu card, and trust me, it will be an entertaining read while the food comes. But, here let me suggest you something. There is a dish called Yam Mein in the menu. Its basically tossed noodles. 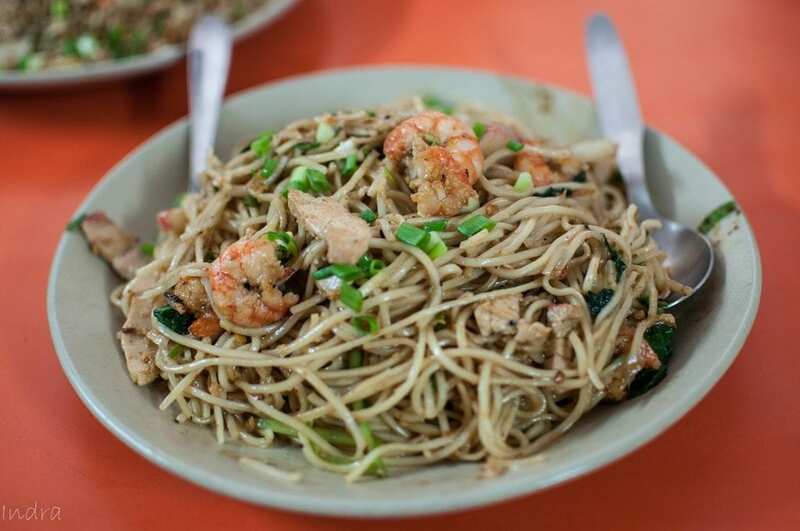 Whereas, in normal noodle preparation, the meat and vegetables are stir-fried and then the noodles come into the scenario, here all the ingredients are cooked together, giving them a slightly soggy feeling but locking the full aroma. Go for that. I normally opt for the Mixed Yum Mein. 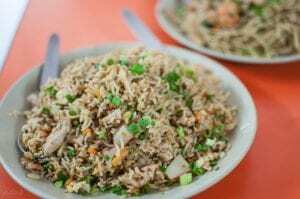 The portion size is quite decent- 2 portions can satisfy 3 hungry souls, but as a first timer, also, go for their Mixed fried Rice- it’s quite heavy in portion size and light in taste. Needless to say, quantity of meat and shrimps are pretty good in both of them. Recently, we’ve went on a specially curated breakfast menu in D’Ley. 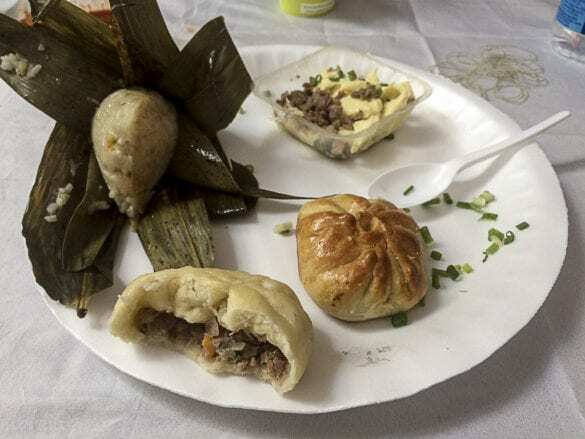 The items were pork ball soup, steamed pork bao, Baked pork bao, steamed pork wanton, sticky rice with pork stuffing and Pork Fooyung (steamed omlette with pork). The items were part of a curated menu done by Porkaholic group and most of these items were not part of the regular menu. 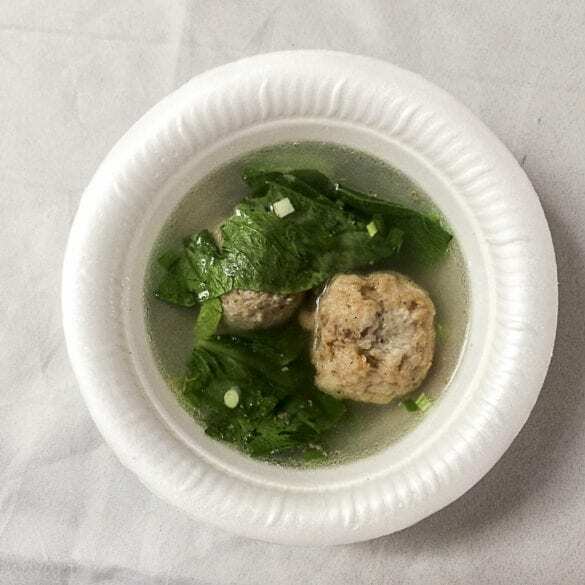 In this, the fooyung was seriously good along with the pork ball soup. And, please don;t fantasize much, for rest, you’ve better place around. But for a change, the menu and the dishes were pretty good. 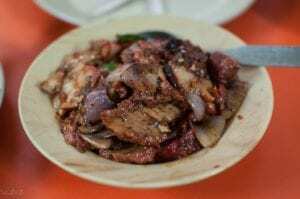 So, this is my tryst with D’Ley- another old school chinese eating house and hope you like it too. But, one word of caution. 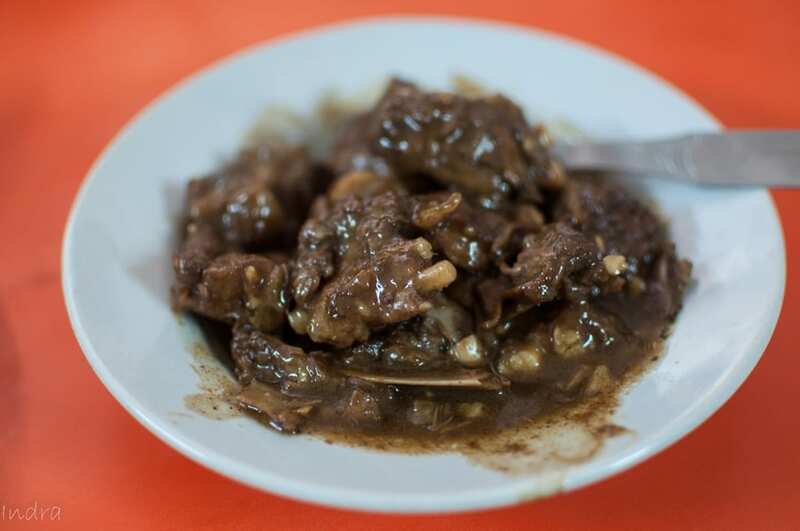 Unlike Tung Nam, these guys are not very consistent in food preparation and not that they care a lot. On a good day, they can give the biggies a run for their money and on a bad day, your friendly local chinese joint is better than them- but then when you get good quality pork in all the Kolkata localities ? I am a huge fan of your reviews. This one is pretty awesome too! And thanks for recommending such places which are often overlooked by many.